At fifteen years of age, Malala Yousafzai spoke publicly about her belief in everyone’s right to an education. She was shot at point blank range for her audacity, but miraculously survived. Malala’s action was not a spur of the moment thing, nor was the act of reprisal against her. To this day, the Taliban have vowed to kill her if she ever returns to her homeland. This is Malala’s story, but it is also the story of hundreds of thousands of people around the world who suffer under similar crushing regimes. The simple truth of life from Malala’s point of view showcases the devastation people experience when their world is taken over and the power of hope that an education offers. While the world struggles to comprehend the difference between religion and extremist fanaticism, Malala describes the differences with ease. Her description of life before and after the invasion of the Taliban is poignant, but the oppression that her family and fellow villagers faced while war raged around them is extraordinary, as is the courage Malala and her father showed in the face of it all. 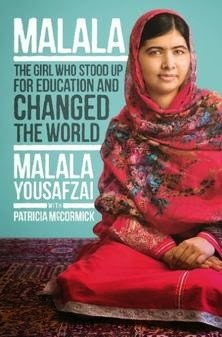 Malala’s down to earth way of telling her story opened my heart. Her voice is all the more powerful coming from one so young.